When will be 6teen next episode air date? Is 6teen renewed or cancelled? Where to countdown 6teen air dates? Is 6teen worth watching? 6TEEN is an animated sitcom about six teenagers getting their first jobs, and trying their best to keep them while still having fun. This is difficult when you are stuck in a store that stands for everything you hate, have an overly strict boss, or just a bad employee in general. The shows main story takes place in a Canadian mall. In fact less than 3% of the story is told out-side of the walls. 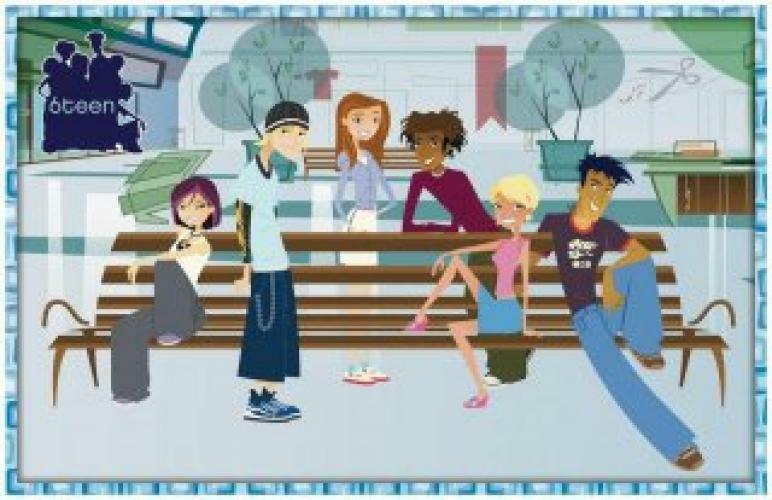 EpisoDate.com is your TV show guide to Countdown 6teen Episode Air Dates and to stay in touch with 6teen next episode Air Date and your others favorite TV Shows. Add the shows you like to a "Watchlist" and let the site take it from there.